Today’s classrooms look nothing like the classrooms from when I was growing up. They even look different from the classrooms five years ago. Technology is always changing. 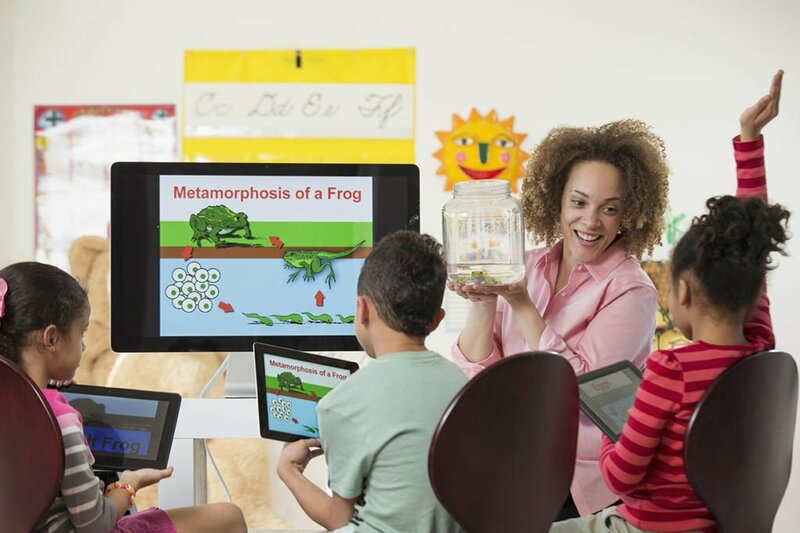 Discover how the latest technology can transform your classroom. Most young people today are growing up with technology, and they are using it in every aspect of their lives. School should be no exception. Best Buy Education believes that every student should have access to the latest in education technology. They offer a wide variety of tablets, laptops and chrome devices for use in the classroom. They have partnered with schools around the country to provide the technology students need to succeed. Best Buy also offers on-site Geek Squad training and support for students and faculty. This can definitely be helpful as new technology requires training. The dedicated Account Managers at Best Buy will consult with you, offer knowledgeable, unbiased advice and guide you to the product and service solutions that best meet your needs and your budget. Whatever your classroom needs are, Best Buy can provide the products, support and protection you need. If you’ve not yet entered to win your school $25,000 from Best Buy for new technology, be sure you enter today as the sweepstakes ends 7/4/2015. Kudos to Best Buy for doing this. I think our children’s education is such an important thing and I love that companies are stepping up to help and sure that the kids get a good one. I really love this push Best Buy is doing to help schools. With all the funding cuts that seem to come around every year, we really need this. Thanks so much for sharing this. I’d love to win it for my daughter’s school. Oh wow! I did not know that this program existed. This a great thing they are doing. Thanks for sharing. I will check this out for my children’s school. They go to a private school with a very small popilation so they need all the help they can get. This is a fantastic program. It is so important for students to have the proper devices to help them learn. I have never heard of the ISTE Conference and Expo, I’m definitely going to look it up, thanks for sharing. This sounds like a really awesome program. Thanks to Best Buy for doing this. How awesome of them. This sounds awesome. So cool of best buy to do something like this. So many schools and education are suffering right now. This is great! This is such a great program, especially with schools moving toward a BYOD policy. My son’s school doesn’t have that, but my friend said the next district over does. I asked what on earth she meant, and she said every student is required to bring their own device for taking notes, gathering info, research, etc. What an awesome program. If some schools have this, I think all schools should so all kids can benefit from this. This is amazing that Best Buy is doing this – and it is excellent marketing that small businesses have been doing forever – A big “High 5′ to them – thanks for sharing! How awesome for a school in need to win the latest from Best Buy in technology. Back in the day I remember the public schools in our town always being short of supplies, including paper, nothing should have to take away from the education that children receive. I had no idea Best Buy was doing anything like this! This is great not only for educators but for the children who benefit from these products. I am a technology instructor so I totally understand how important this is in the learning environment. How great! We love Best Buy and it makes me happy to know that they’re doing something to help further education. I am all for programs like this. We need to focus more on our children’s education and this is one way to help. Really? They consult with you? That’s handy and I know that my kids are waaaay smarter than I am with all this techie stuff. I just can’t keep up! I absolutely love this best buy program, its so true classrooms today are so different to classrooms back when I was a kid. 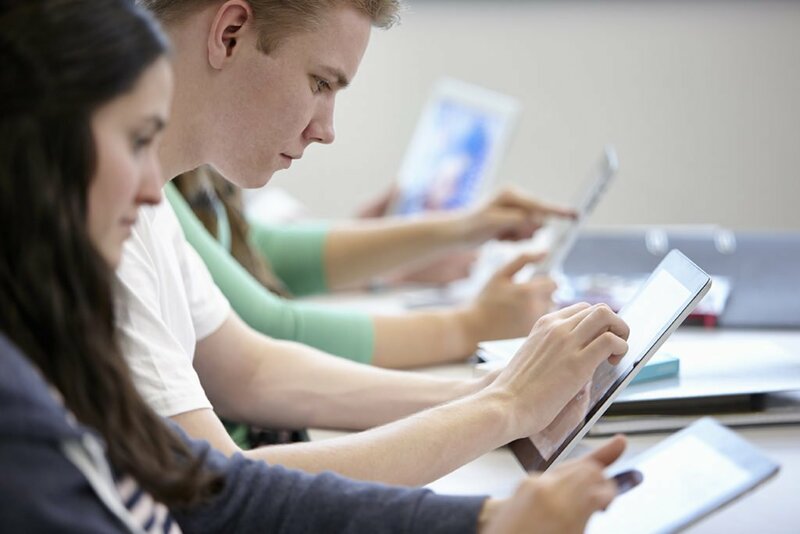 Technology is becoming such an important part of our daily lives and in our kids education. This will be so great for whatever school wins! You’re totally right, today’s classrooms look nothing like the classrooms from when I was growing up too. I was in awe when I my son’s school had the open house. Their school is “high-tech”. This is such a great campaign by Best Buy, by the way. Kudos to them! I love that Best Buy support education like this. It is important to see companies give back to their communities like this. This is such an awesome program that I didn’t even know existed until now! I love when you hear of big companies giving back!! This is a wonderful campaign. I love that best buy is buying into helping kids learn new technology. Technology is here to stay and I know all school districts may not have the resources to get newer technology into students hands. My daughter’s school is putting laptops into every students hands. They have to have it for class. These days!! I’m not even that old and just since I’ve been out of school…. So much more has been addEd technology wise! I love Best Buy and I really love that they are doing this. It’s so important to help students and schools get ahead. I love that Best Buy is a huge supporter of technology in the classroom. I wish I could attend the ISTE Conference and Expo! I cannot wait until the classrooms are at least 80% electronically interactive. It is important that children know how to use both computer platforms as well. Now days the students and teachers need to learn all they can about technology. Best Buy is and has done so much to help schools along with the students. Kudos to Best Buy for all they are doing to help teachers and students. The ISTE Conference and Expo sounds like an amazing event for sure. Thanks for sharing.